Winston Churchill began his hobby of painting at 40 years old. For Churchill, the art of painting—like the art of statesmanship, is mastered only when all of the intricate details involved aim toward a fixed purpose, or in Churchill’s words, “a single unity of conception.” Both arts, if done well, are guided by and reflect timeless principles. 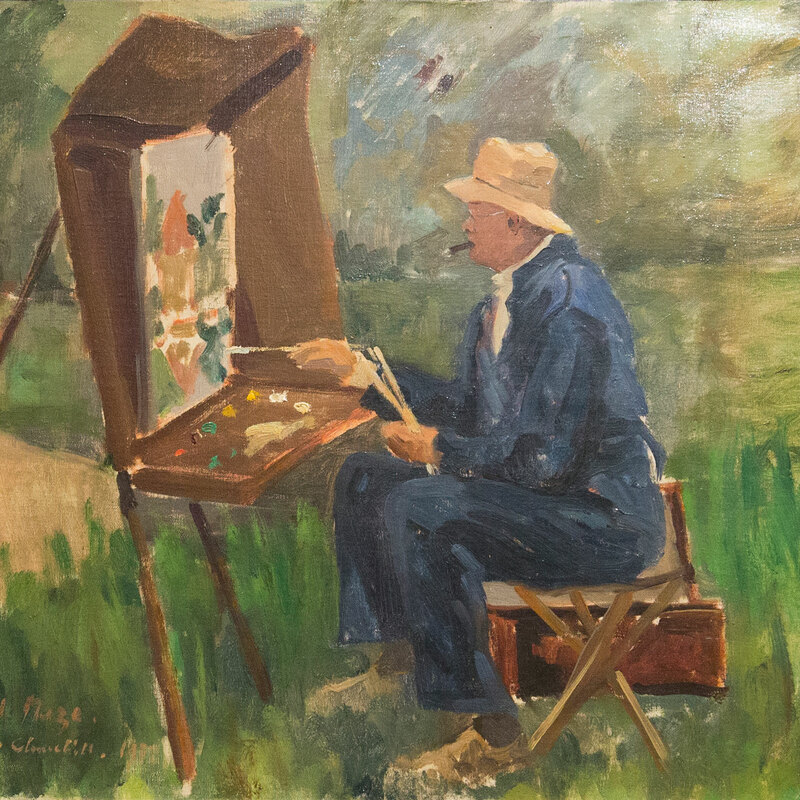 Churchill produced nearly 600 paintings during his lifetime, nine of which will be on display at Hillsdale College, along with memorabilia from his life and times. This traveling exhibit is organized by the National Churchill Museum at Westminster College in Fulton, Missouri. To navigate the virtual tour, click and drag the cursor within the virtual tour window. Move to different points within the tour by clicking on the round icons. Scroll within the virtual tour window to zoom in or out. Read detailed information about each exhibit by clicking on the camera icons beside them. To expand the virtual tour to fill the entire screen, or to use the virtual tour with the VR functionality of a mobile device (e.g. Google Cardboard, Samsung Gear VR), please click on “Expand Fullscreen” button.